Home / County Politics, News / RUTO and ROTICH are finished completely over the Arror and Kimwarer dams’ scandal - See who the DCI is planning to make a witness? RUTO and ROTICH are finished completely over the Arror and Kimwarer dams’ scandal - See who the DCI is planning to make a witness? 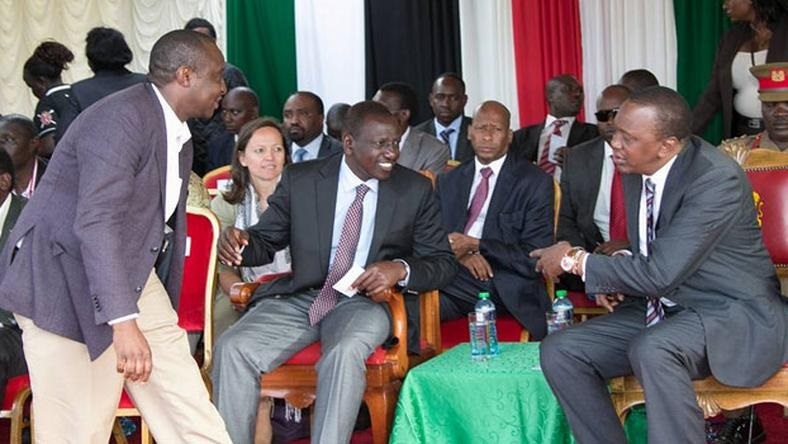 Wednesday March 27, 2019 - The Directorate of Criminal Investigations (DCI) may be planning to have Industrialization Cabinet Secretary, Peter Munya, as a witness in the Sh21 billion Arror and Kimwarer dams’ scandal that is threatening to take down many of Deputy President William Ruto’s allies. This is after he revealed how he was under pressure from Ruto’s allies to sign the deal to award an Italian firm, CMC Di Ravena, the tender to construct the scandalous dams. It is believed that Munya may be the one who blew the whistle on the Arror and Kimwarer dam’s scandal. Munya served for six months as the CS for the East Africa Community and Regional Development which was in charge of the construction of the Arror and Kimwarer dams in Elgeyo-Marawet County. His grilling by the DCI brings a total of all Cabinet Secretaries who appeared before it in relation to the scandal to five.